#nay because i dont see the difference before and after using this product but a little. And i really dont like the tingling sensation i had right after apply this product on my face. 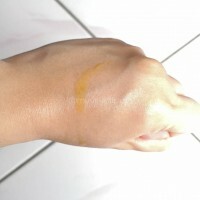 But, this product still work on me without an bad effect like breakout or redness, so i still using it till now. 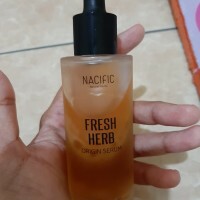 #yay this product give moisture more than any product i had try. Altough didnt give my skin clearer like its claim. I would say #yay for this serum because it really helps to reduce my PIHs faster. I noticed that the dark spots are less dark and my pimples reduced faster when I use this. 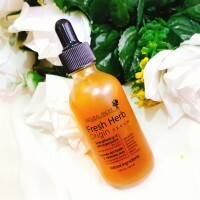 I have oily skin, although this serum has a mixture of oil and water, it doesn't make my skin oily. It absorbs in few minutes without any greasiness. My oily skin approved this. It stings a bit when I put it on freshly popped pimple,but nothing unbearable. It has citrusy scent, I love it. #Yay for me at first. Like any other cases, for the first 1-2 weeks, it works like wonder. But after that, pimples and small zits are just blooming here and there. Also the idea of mixing it up means you'll give it more air in the sollution. The air that trapped in the bottle are not the cleanest too. Sometimes I still use it to topped my pimples and it helps calming them a little bit. Also, I use it for the last step on my routine too one time, as if it's face oil. It kind of works too for me. 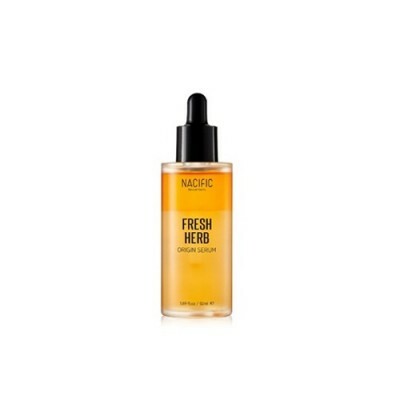 This fresh herb origin serum comes in a glass dropper bottle. The serum is in burnt orange colour and smells citrusy. Before using the product you need to shake the bottle well. 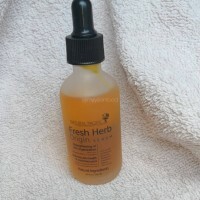 The product itself is thin in consistency but the serum does not completely sink into the skin. I like using this serum at night as it does feel a little bit sticky. When i started using this product, it used to tingle a lot . Slowly my skin got used to it and the tingling senation stopped. I really like this product , it does help my skin stay hydrated and plump. It also helps lighten my acne scars and hyper pigmentation.